California Governor Jerry Brown had surgery to remove a cancerous growth from his nose, his office said on Saturday. The growth was removed under local anesthetic on Friday, after tests revealed the presence of basal cell carcinoma, Brown’s office said in a statement. All the cancerous cells were removed, but some reconstructive surgery to Brown’s nose was required due to the procedure, it said. 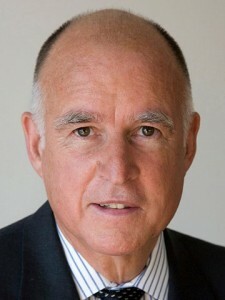 Brown, a 73-year-old Democrat, is at home and conducting state business. His office said he would not attend the state Democratic Convention in Sacramento over the weekend, and would skip public events until the stitches were removed. Obama Ruining The Dignity Of President's Office ?? Next: Director of Football suspended! CTRL+C Shortcut to get Hacked!